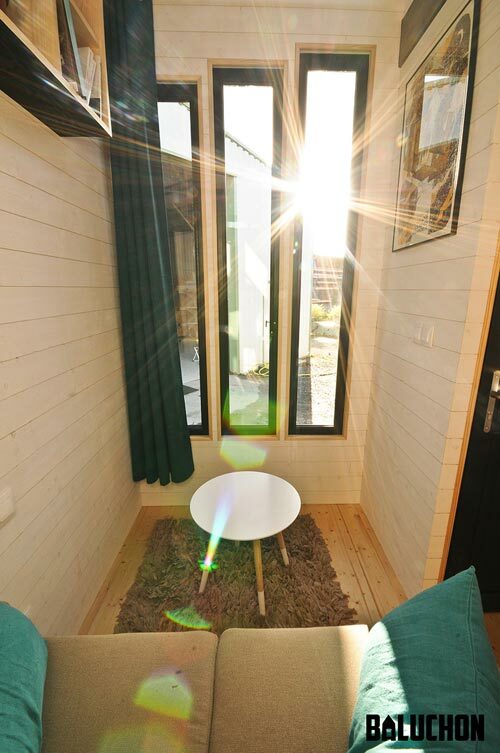 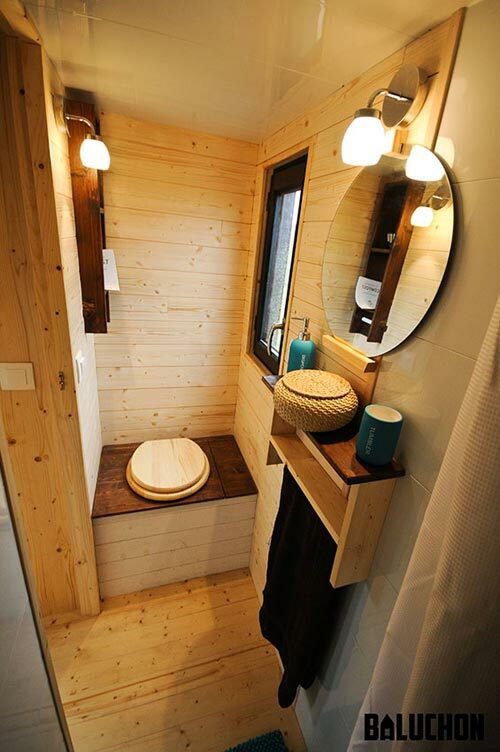 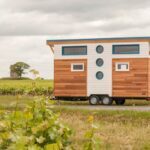 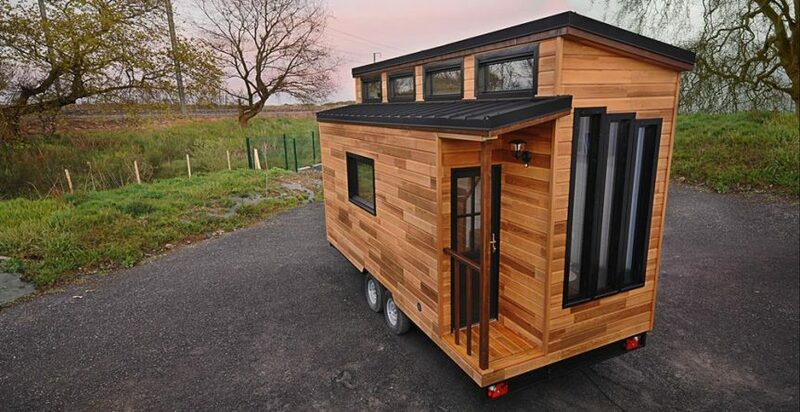 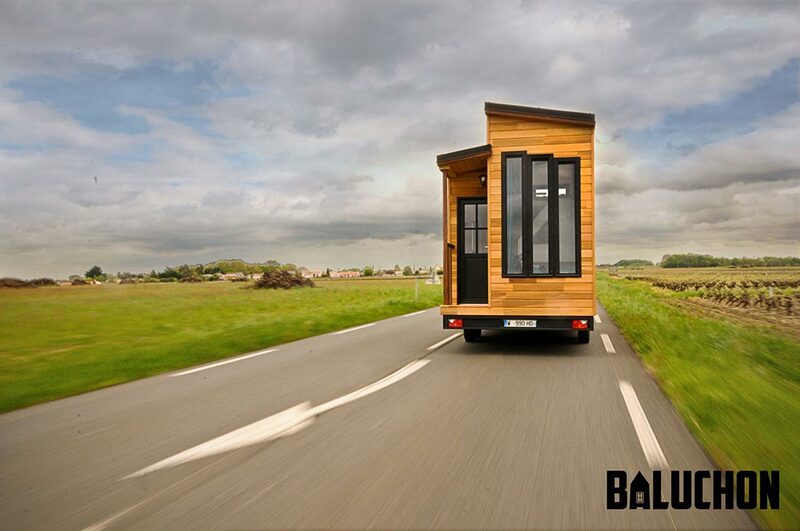 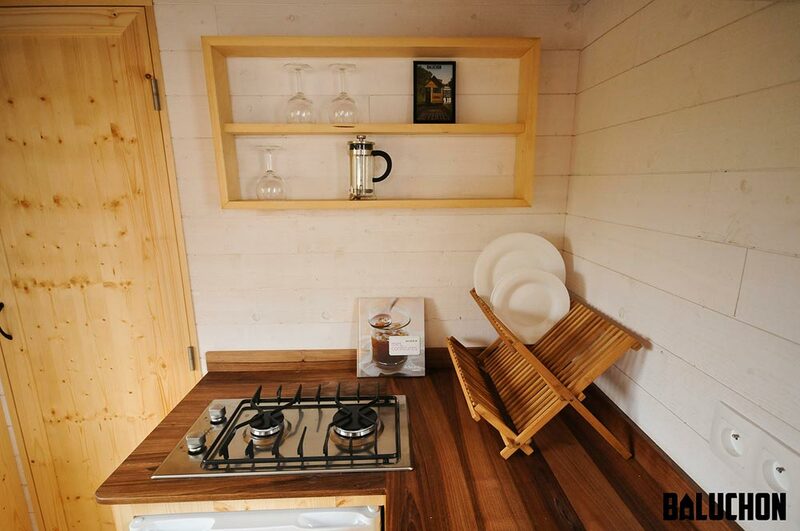 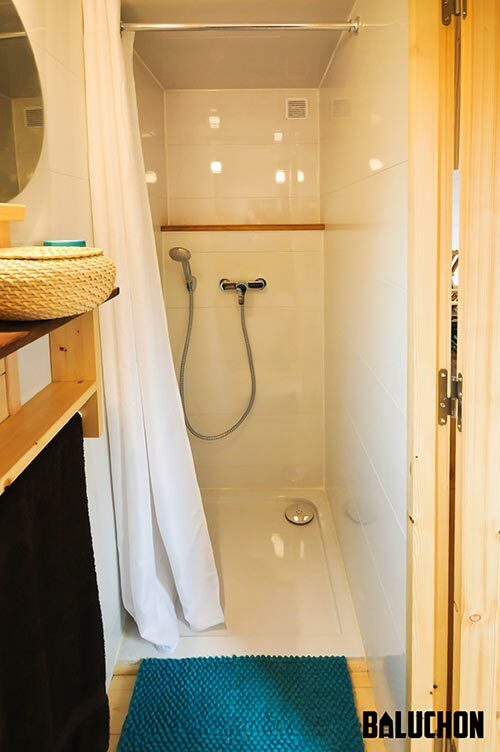 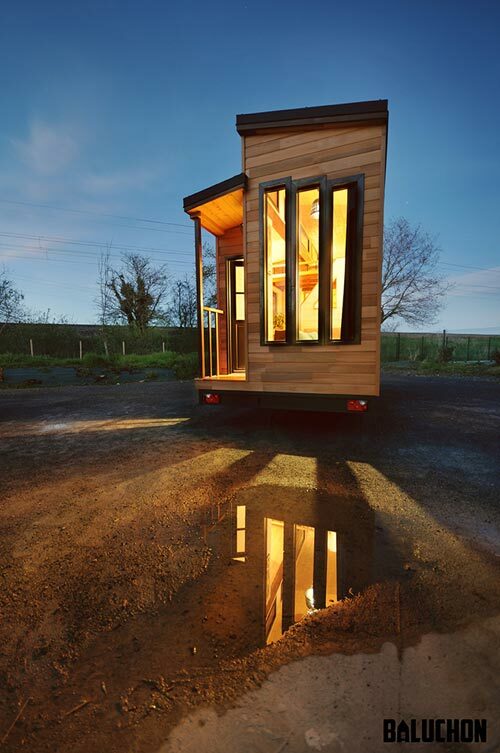 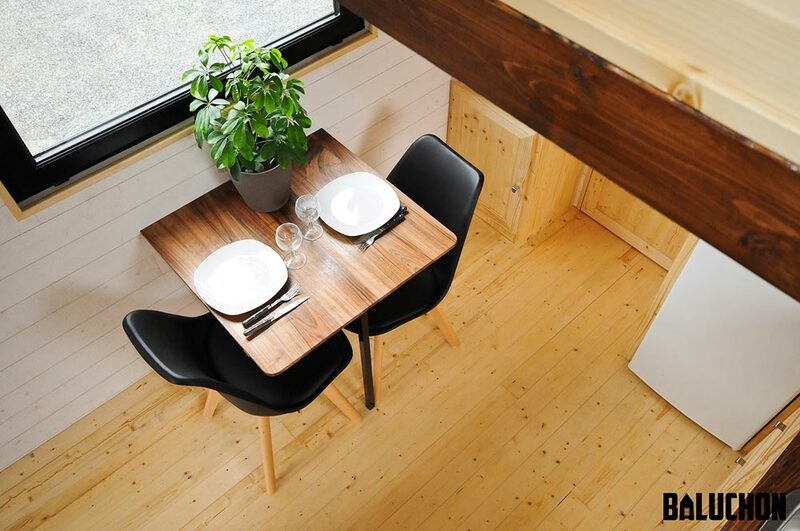 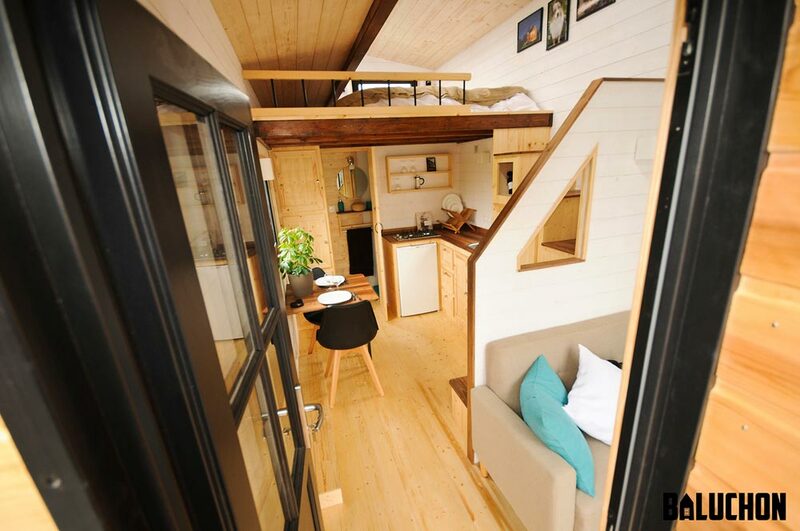 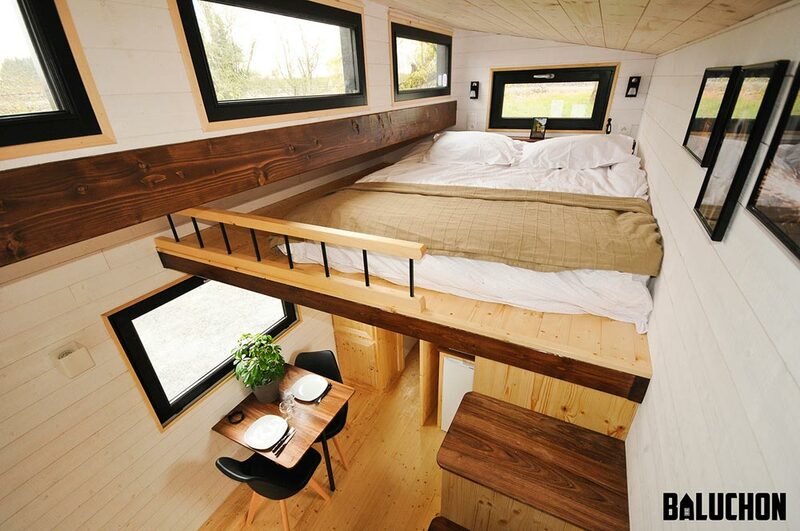 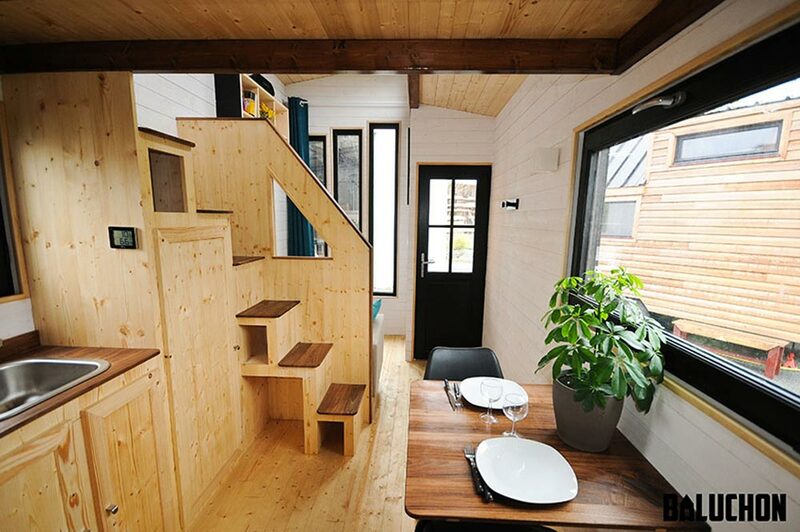 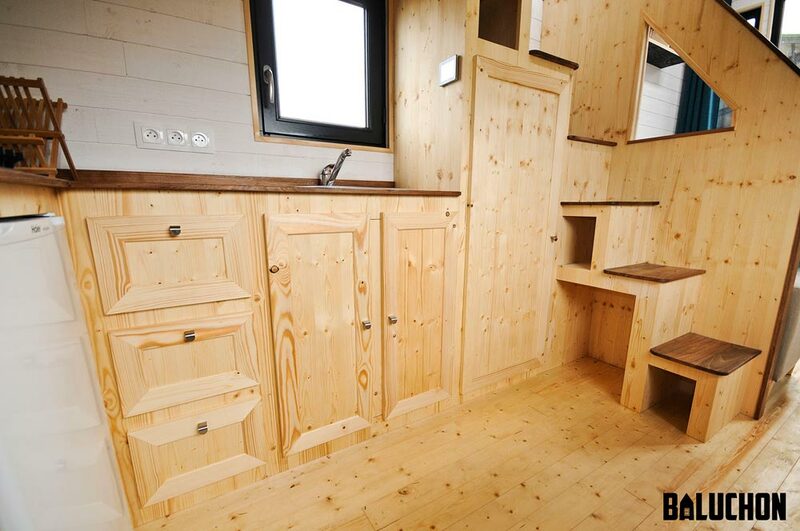 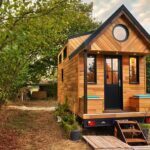 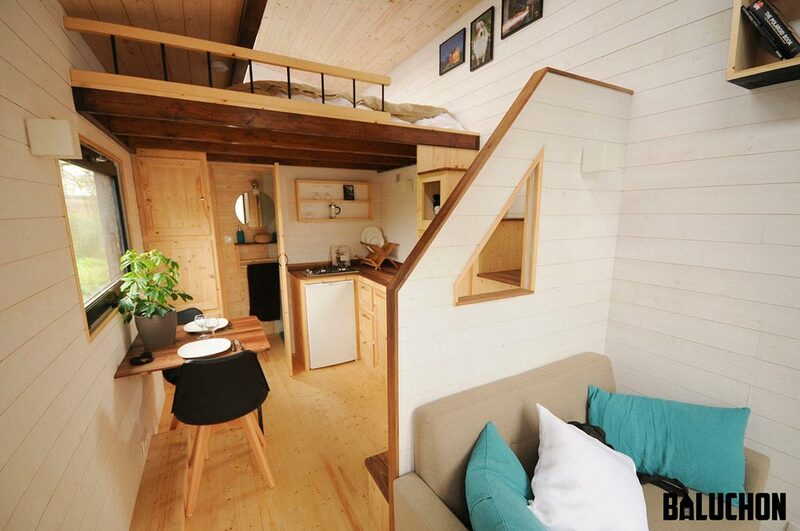 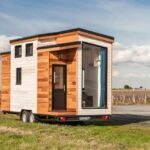 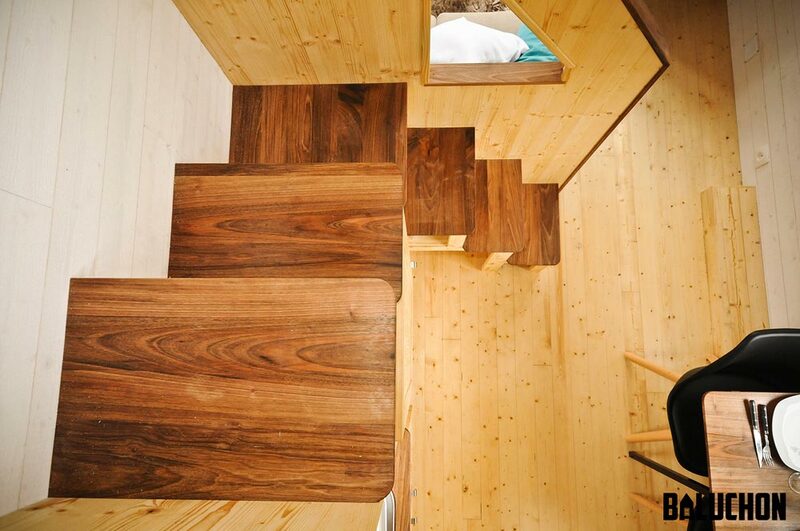 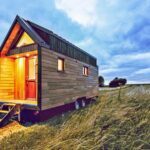 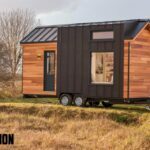 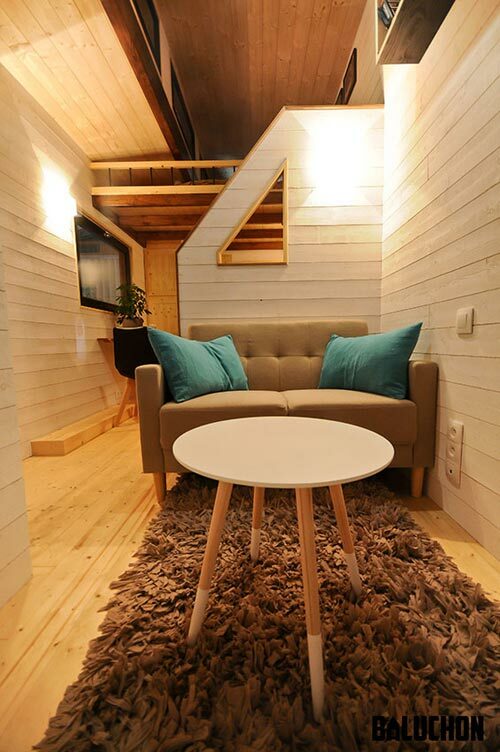 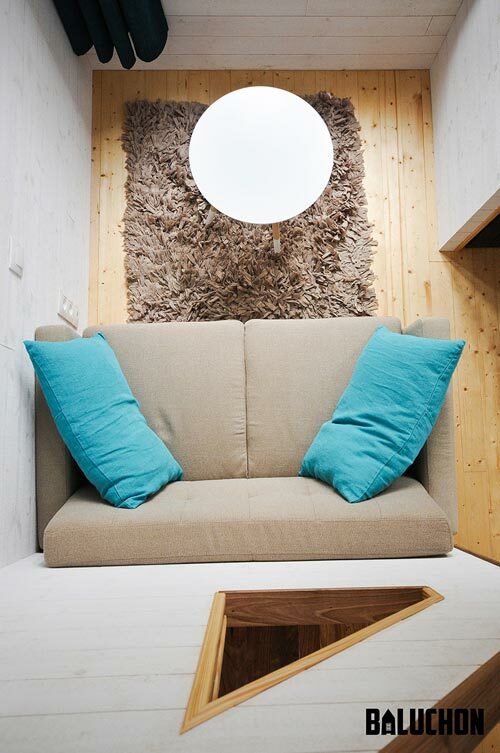 The Escapade is a modern tiny house built by Baluchon in Nantes, France. 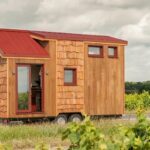 The 185-square-foot house has a distinctive split roofline with four large windows to allow a generous amount of natural light. 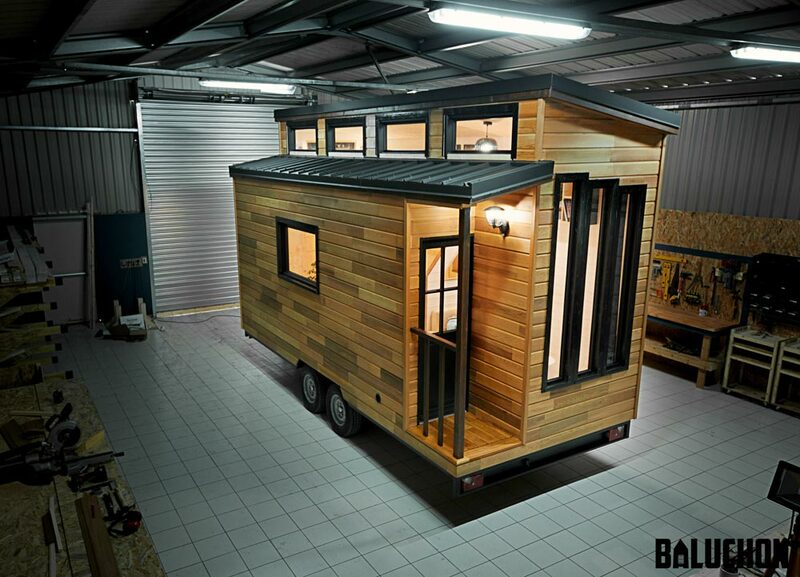 Along the front of the house is a set of three tiered windows. 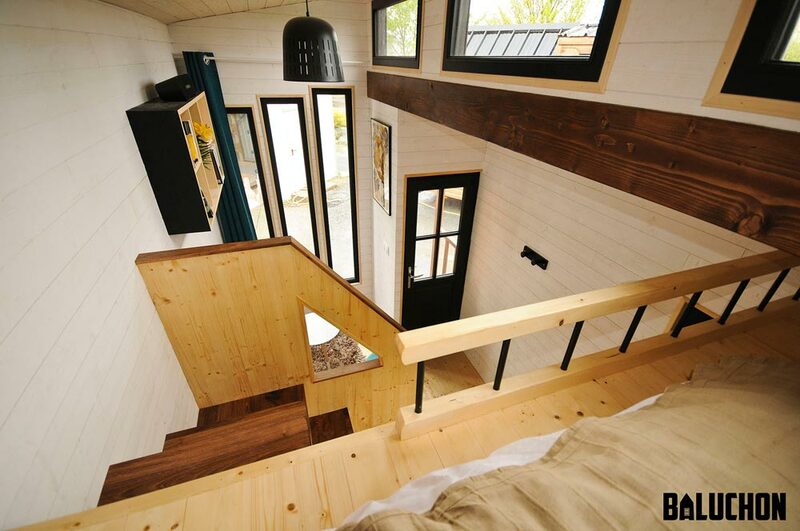 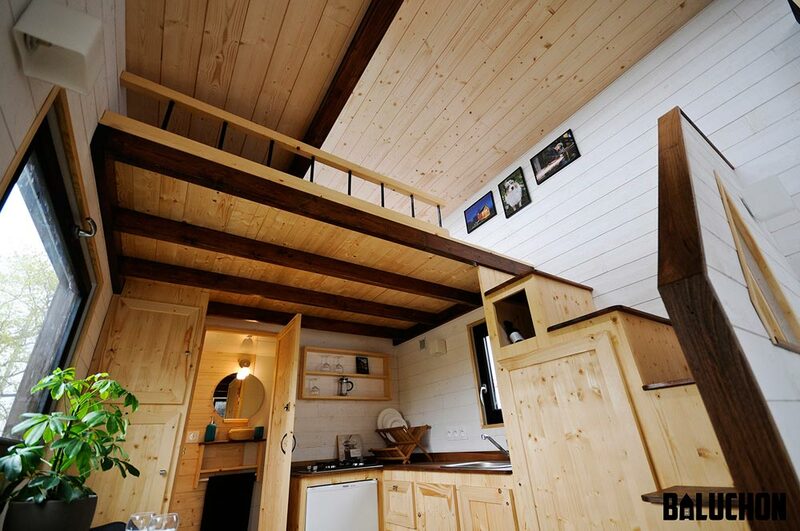 Inside the 18′ Escapade is an L-shaped storage staircase that leads up to the bedroom loft, a living area looking out the tiered windows, and a kitchen with two burner stove and mini refrigerator. 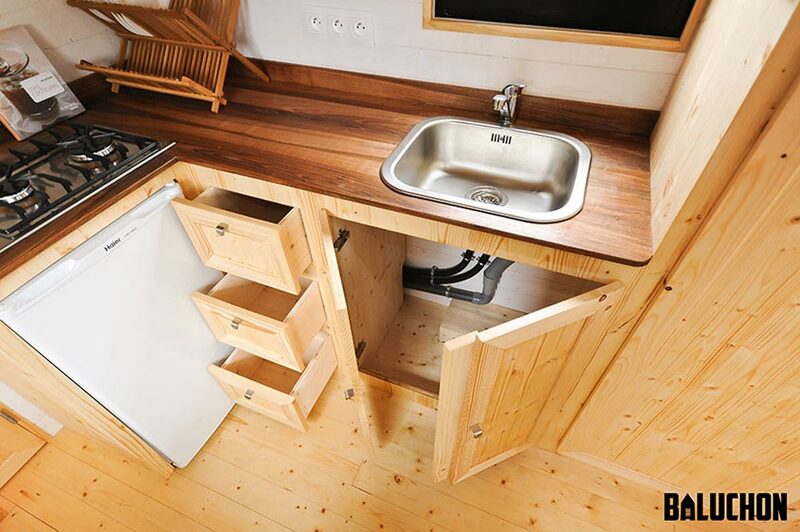 Beautiful woodwork can be found throughout the house including the dining table, stair treads, and beams in the kitchen.